Welcome to staggering world of Patel Pulverizing Works. 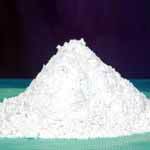 We are prominently recognized amongst leading manufacturers and traders of Whiting Chalk Powder. 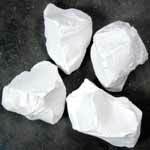 In addition to this we are an eminent manufacturer of non metallic minerals such as Plaster of Paris, China Clay etc. Quality is the basic drive of our working thus we have been consistently meeting and exceeding with our client’s expectations. Patel Pulverizing Works was established in 1965 at Gujarat (India). We are proud to be one of the major mine owner in Gujarat –India with 40 acres of mining area. Our profound knowledge and ample experience has enabled us to identify correct mineral with right chemical composition which is free of impurities. Our entire process is done under proper condition and strict watch to achieve correct micron particle size.